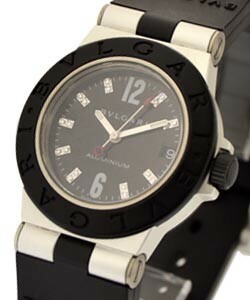 This watch is also known as: AL32/A , AL32-TAVD , AL32A . 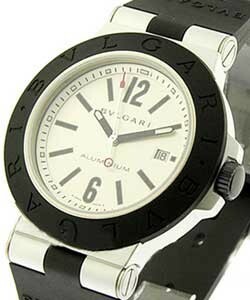 This Bvlgari Diagono features a aluminum 32mm case and a white dial with black sticks and hands. 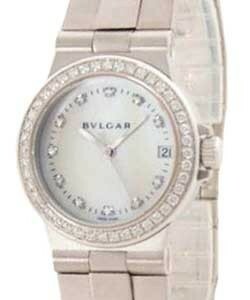 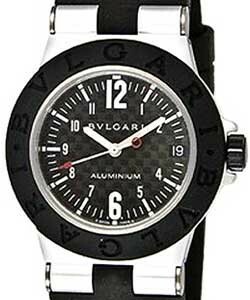 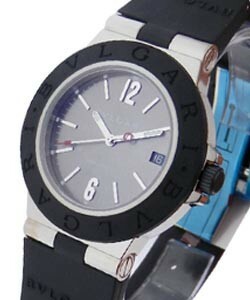 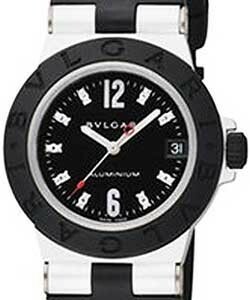 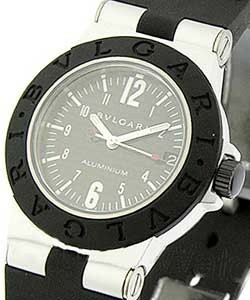 The Bvlgari Model #: AL32TA includes a rubber strap with aluminum joints and is water resistant up to 30 meters. 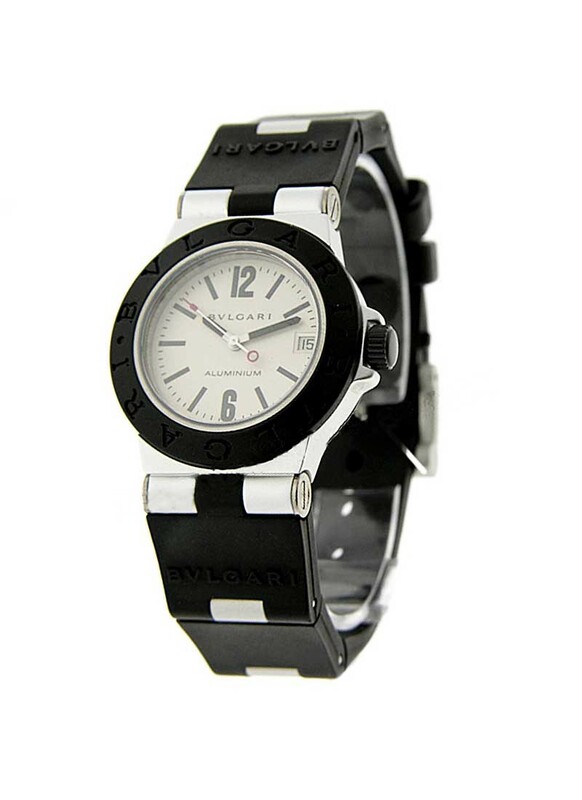 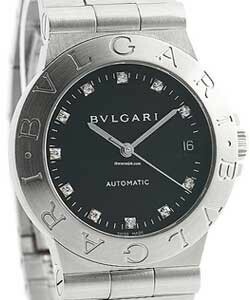 This beautiful Bvlgari Diagono features a screw in crown in black steel and is powered by Quartz movement.